Our repair / service department offer various options which include "on-site" repairs, descaling service off or on site, calorifier tube bundles can be cropped and reseated into existing or a new tube plate. 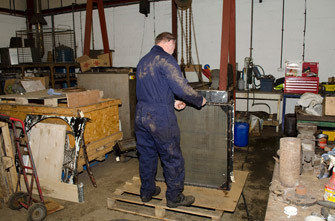 Plate coolers can be cleaned and re-gasketed. Shell and tube coolers retubed, using existing tube plates refurbished or new. We can also replace individual tubes where possible.